Mosaic from Thebes. 4th century AD. Two meters further and to the left of the mosaic, the excavators hit the destruction layer of the Mycenaean palace. “Now we are at the heart of the palace and we have a sample of a very good wall-painting composition depicting a deer-hunt, indicating that we are in a elaborately decorated formal ceremonial space. So, since we already have the first trenches ready, we assume that next year’s excavations will be fruitful even from the beginning”, stated dr Aravantinos. 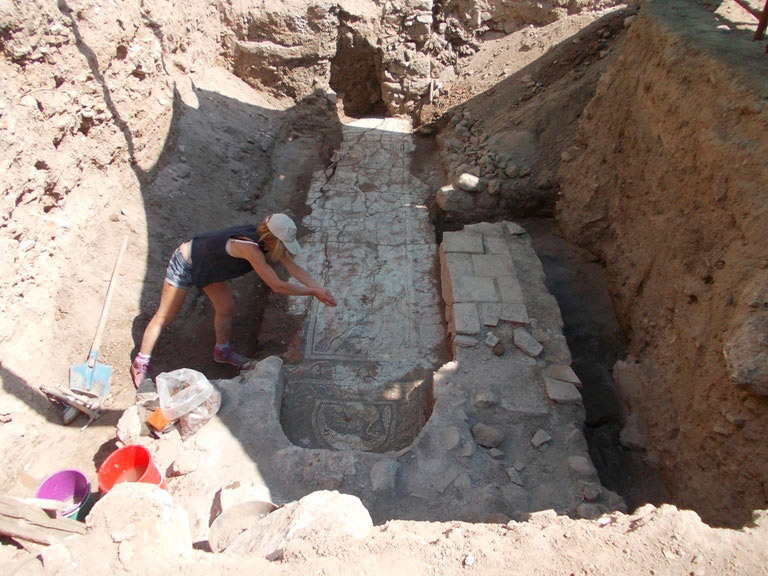 Excavations are taking place in collaboration with the 9th Ephorate of Prehistoric and Classical Antiquities, and under the auspices of the Archaeological Society in Athens.